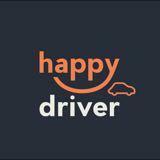 Happy Driver SG is a transport company that deals with the transportation of both people and parcels. 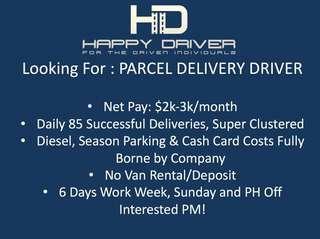 We are hiring with many driver jobs available. Drop by our office to find out more! Toyota altis, vios & axio available for rental! Have z10 for grab usage or personal usage. Additionally.... 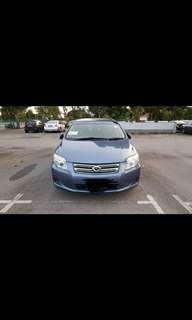 Need a car to use for GRAB? Look no further. Special packages available! Our cars are entitled to go-jek rebates! Contact us for more details!